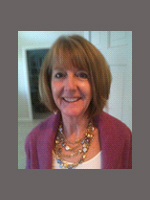 Kathy Chiverton has been the Executive Director of the Discovery Counseling Center since 2011. Kathy came to Discovery with a long list of experience in working with youth and with a history of extensive community involvement. Kathy served as Chief of Staff to two Contra Costa County Supervisors and was Executive Director of the San Ramon Valley YMCA. Her volunteer work in the community includes service on the Boards of Directors of Leadership San Ramon Valley, the San Ramon Valley Education Foundation, and Danville Rotary. She has also held numerous positions within PTA and has worked closely with the San Ramon Valley Unified School District in addressing youth development and safety issues. A graduate of Smith College, Kathy has a Masters’ Degree from Colgate University and has done doctoral work at the State University of New York at Buffalo. Kathy and her husband Ed live in Alamo and are the parents of three adult children and the grandparents of five amazing grandchildren.